Who is coming to his fan meet? K-drama series fans in the Philippines has something to celebrate again after it was announced that "W" star Lee Jong Suk will be coming to Manila. 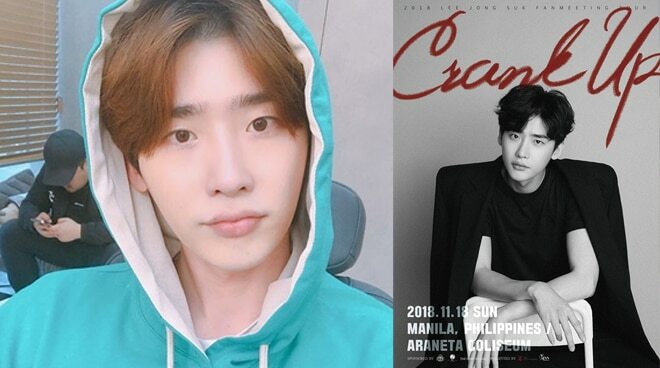 The Korean actor will hold a fan meeting at the Araneta Coliseum called "2018 Lee Jong Suk Fan Meeting Crank Up in Manila" on September 18. According to a report by NAVER, the Korean actor's fan meet in South Korea was sold out in just one minute. Aside form the Philippines, the report said that he will also be visiting Japan, USA, Thailand, Taiwan and Indonesia.